Dave Latter lived a rich life that revolved around baseball but took its most meaningful shape and focus when he became a father, first to a beloved daughter 19 years ago and then to a son 13 years ago. He lived for them. He was the father who stayed at home when Briana was a toddler to teach her to read, write and send her off to school with a perfect ponytail like only he could do. He was especially excited to have a son to carry on the Latter name and took great pride in coaching every sport Christian played, from soccer to flag football, to of course, baseball. Baseball was Dave’s passion, his dream and until his children were born, his life. Dave was born in Houston, Texas but spent his best years in Saratoga where the Latter house became a central gathering spot for the many friends Dave and his late brother Jim collected. He left home in 1985 to play baseball for the University of Southern California where he was a standout right handed pitcher. He graduated from USC with academic distinction and a Bachelor of Science degree in Physical Education in 1989. The Oakland Athletics drafted him that same year in the 33rd round. He pitched in the A’s minor league system in Medford, OR, Madison, WI, Huntsville, AL and Tacoma, WA and played spring training with the big league club as well as winter ball in Los Mochis, MX before undergoing surgery for a torn UCL. After an intense 17-months of rehab, Dave was determined to pitch again and returned to the mound with the Lubbock Crickets in the Texas-Louisiana League. 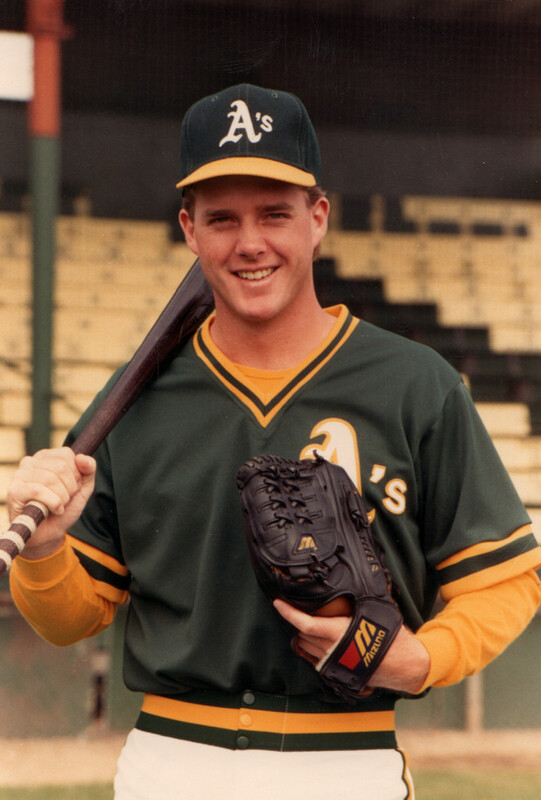 He went on to play spring training with the St. Louis Cardinals before retiring from professional baseball in 1995. Dave went on to start his own successful garage cabinet business in Tempe, AZ before moving back to Los Angeles, CA with his then wife, where he took on and shined in his role as a stay-at-home dad. Dave and his family moved back to Scottsdale, AZ in 2003, shortly after the birth of his son and a few years later he became the owner and operator of a power wash company. His sole reason for doing so, he said, was to have flexible hours that would allow him to be at his children’s school events and help coach his son’s athletic teams. Dave had a wicked sense of humor, a deep allegiance to his very long list of friends, a love of cooking, an unwavering loyalty to his beloved USC Trojans and an abundant sense of pride over his children’s accomplishments. Dave would do anything for anyone. If Dave cared about you, he cared about you for life. Dave passed away on October 27, 2014 due to complications from a heart infection. In addition to Briana and Christian, Dave is also survived by his mother Lou Ann and his sister Susan. He also leaves behind a legion of buddies across the country that call him by his nickname, “Lats”. 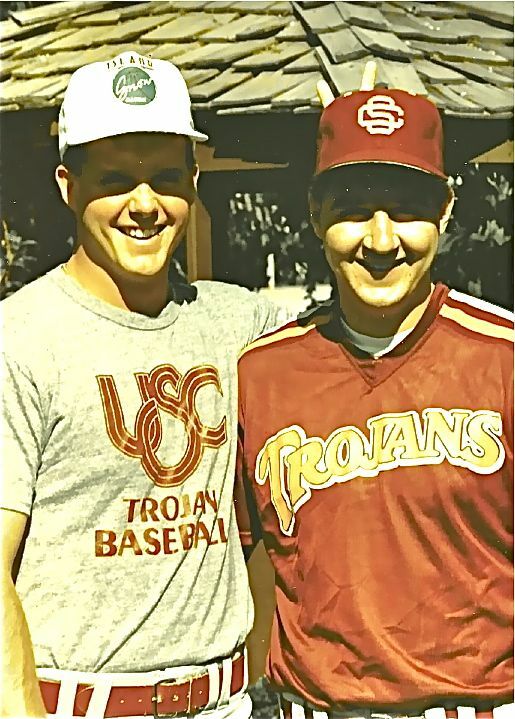 Those who love Dave take comfort in knowing he is at peace with his beloved father and brother in heaven and watching with great pride as Briana carries on the Trojan Family legacy as a student at USC. Share your favorite memories of Dave via our online memorial.